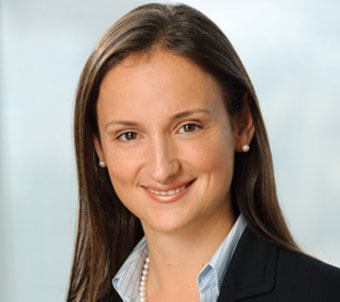 Virginia Iglesia Weber is an associate in the New York office of McKool Smith. Prior to joining the firm, she was an associate with Greenberg Traurig in Miami, Florida. After law school, she served as a law clerk for the Honorable Alan S. Gold, U.S. District Court, Southern District of Florida. During law school, Virginia was a law clerk for the Honorable Frank M. Hull, U.S. Eleventh Circuit Court of Appeals as part of Emory’s Field Placement Program. She also interned for Judge Gold; the Miami Public Defender’s Office; and Georgia Lawyers for the Arts in Atlanta, Georgia. Virginia is fluent in Spanish. Her practice commonly involves representing clients in complex commercial litigation and class actions, employment matters, internal investigations, and white collar defense, including government and grand jury investigations. While at Greenberg Traurig, she represented a large Florida engineering firm in conjunction with a multiagency investigation into allegations of illegal reimbursement of political contributions. She also represented a leading insurance company in a class action brought by more than90,000 physicians alleging a scheme to defraud doctors in violation of the federal Racketeer Influenced and Corrupt Organizations Act (RICO). Since joining McKool Smith, her practice has focused on civil and complex civil and criminal litigation. She has represented, among others, an executive of Fairfield Greenwich Group in civil litigation and criminal regulatory investigations relating to the Madoff scandal, international institutions in civil litigation relation to the Madoff scandal, three high-ranking former and current executives at a major Italian bank in a multiagency investigation into alleged U.S. dollar payments involving countries subject to OFAC sanctions, a major U.S. airline in a lawsuit against its head of sales for the New York region who suddenly resigned to join the airline’s competitor in the identical position, and an executive of Columbia University in an internal investigation over allegations of whistleblower retaliation. Virginia is a mentor to first-year law students from the Benjamin N. Cardozo School of Law through the Young Lawyers Section of the New York State Bar Association. She also served as a judge at the ABA Law Student Division’s National Appellate Advocacy Competition from 2011 to 2012.